A discussion of “the Sacred” within Contemporary Paganism is often mixed, consisting of varying opinions and views that sometimes clash with each other. This is understandable, as it is a topic of multitudinous perspectives concerning the nature of the concept and what – if anything – that ultimately entails. That which is considered Sacred in Paganism consists of any number of things – items, locations, periods of time, etc., creating an object or location that maintains an essential feature of connection with the divine, that which confers or implies this state of sacredness. Popular opinions in Paganism hold, commonly, that “Nature is Sacred”, or “all land is sacred”, or some quality of existence possesses an intrinsic sacred element that is expected to be broadly recognized across a myriad of religious identities. “Sacred” is thus one of those terms which is used with a fair bit of frequency within our varying religious paradigms. 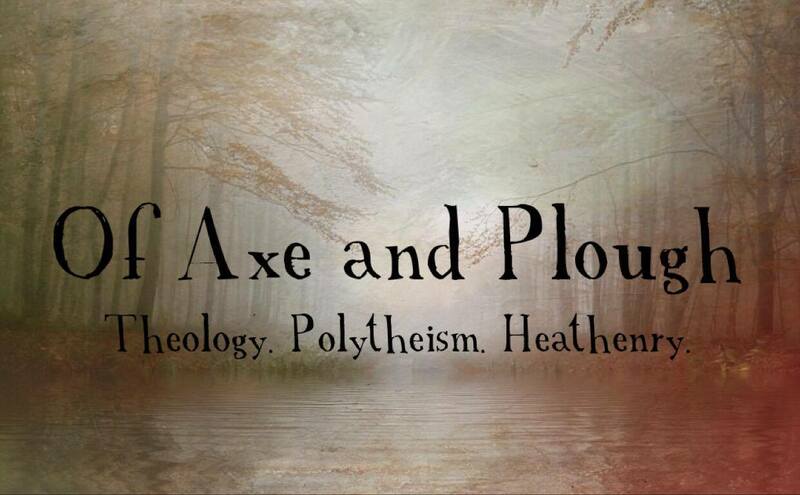 It fills various roles and positions within the religious dialogue of several Contemporary Pagan communities, none of which are exactly the same. However, like much other formative and fundamental concepts within the discussion of the various facets of Paganism, like that of Prayer, that which is “the Sacred” is used ubiquitously throughout dialogue, often to the point of inarticulation. People know what “the Sacred” is, but they often cannot express it. The discussion of “the Sacred” within Contemporary Paganism is often mixed and consisting of varying opinions and views. It is a topic of multitudinous perspectives as to the nature of the concept and what, if anything, it ultimately entails. That which is Sacred in Paganism is any number of things: items, locations, periods of time, etc, consisting of an essential feature or connection with the divine which is what confers or implies this state of sacredness. We hear, commonly that “Nature is Sacred”, or “all land is sacred”, or some other quality of existence possesses an intrinsic sacredness which is broadly recognized. Lately, John Beckett wrote a post detailing the five falsehoods which he views as prevalent within the Pagan community. The broad positions of the post are apt and common, and I agree with several of them – if not all of them – in essence. What Beckett does do is touch upon “the Sacred” in such a manner that I feel it requires a bit of digging through perspectives for consideration. Given the incredibly nuanced understanding of what “the Sacred” entails and consists of, perhaps a discussion could be had to proactively increase the awareness of this concept. The various meanings of “the Sacred” is apparent in these definitions. Definitions which, I must stress, are not wrong or incorrect. It is by in large all of these things, and more. The point of consideration I wish to make with John Beckett’s article is that he appears to address the idea of “the Sacred” in a context of its ultimate manifestation; that which is Sacred is rare, possessing an ultimately identifying uniqueness or essential differentiation between that which is often experienced, and which is less so. At its core, this is an extension of the Sacred-Profane dichotomy, to be sure. But I feel this places a great deal of weight on the external world beyond the human sphere, and our place within it. The implication here being that that which is Nature or Natural possesses a greater inherent sacredness than our “world” of existence. The Sacred is a feature or inherent quality of a thing, but it should also be stressed that it is a phenomenological experience as well. Individuals and groups alike which engage in this experiential phenomenology receive a contextual understanding of that which is Sacred in question. In this manner, understanding “the Sacred” is as much a branch of cognitive psychology or cognitive anthropology as it is the theological study of religious experience and manifestation. This is not to say that “the Sacred” is a manifestation of the human psyche – on the contrary, I firmly position that it is not. The Sacred is quite simply above all else a quality of existence which is conferred through the manifestation of the numinous, the divine. This leads to an experiential event for the practitioner, what is largely considered to be a hierophany or hierophanic event. We often consider the entire continuum of that which is divine – the spirits of the place, the divine dead, family, tutelary, and national gods, etc. to be “sacred”. In this case, it is perhaps more appropriate to say that their divinity is what confers the quality of sacredness into our world, utilizing whichever chosen form as a vehicle for their manifestation. In this way we can see how both a natural sanctuary (e.g., John Beckett’s “Nature”) and the edifice of a civilization-wrought structure can both be “sacred”. The Sacred is intimately predicated on the manifestation of the numinous. But that manifestation does not necessarily change the object’s essence, or understanding in the wider world. A manifestation of the Sacred has the potential to make any object or location “something else”, entering a liminal existence in which hierophany is more likely. Importantly, it also remains itself. It is a state of intention between independent divinity and the reception or perception of that status by the practitioner. Sacrality is thus apprehended by one group in particular, with familiarity with one set of experiences, and not at all by another who may be observing the same phenomenon (or, to them, the lack thereof). This reception/perception and engagement with the religious cosmological paradigm of the Sacred is key, because it is what ultimately enables interpretation of the Sacred element. A miracle or hierophanic event is straightforward only to those who are prepared for it, regardless of that preparation being training or experience. For these individuals, the event is spiritual and sacred; for everyone else a miracle is invisible and concealed within the profane world and the mundane objects which constitute it. Because religion is an infinitely subjective event, every aspect of that enactment reflects the Sacred – rites, myths, and the very Gods themselves. The assumption that the Sacred exists purely within the realm of human cognition is categorically untrue. Recognition of the mechanics behind the interpretation, manifestation, and experience of the Sacred does not diminish its existence, nor does it diminish the roles that it may play within human religious behavior. Reductive, scientistic approaches to conflating the “real” or “true” with only that which is empirically verifiable is a narrow philosophical position. Doing so is unacceptable in the earnest, respectful discussion between practitioners. Employing the Sacred through its symbols, myths, religious rites, locations, etc., encourages alternate variations of the various modalities consisting of what is “real”. This allows us to engage in the manifestation of cosmological reality through varied, interconnected ways. Its meaning resides within the mind. However, in keeping within the paradigm established by Mircea Eliade, from whom the Sacred-Profane dichotomy arises, the Sacred is not a creation of that same mind. Because the implication of religious symbols, customs, and interactions within a ritualistic context is not a universal constant, we must be wary of pigeonholing such a varied and nuanced concept as encompasses the Sacred in a Pagan context. To directly comment on John Beckett’s quoted sentence, a sacred tree loses its sacredness when it no longer functions as a representative manifestation of the divine numinous, not simply because it was removed from its context. As an example, a tree which is utilized as a central post in a communal hall functions as an imago mundi, a sacred representation and image of the Center of the Universe, and reflects the very closest point in spatial geography which humanity can be to the divine. It reflects the axis mundi of the cosmological paradigm of the practitioner. Likewise, lumber taken in order to construct a home and hearth is the facilitator of the hearth cult and wider domestic practice, and in that context functions both as an imago mundi as well as providing the location for the intimate and private manifestation of the divine. The sacredness of the location is not necessarily due to to the quality of existence of the tree, but due to the numinous manifestation of the divine within, in that religion’s context. The perspective provided in Beckett’s article appears to place the intrinsic value of the Sacred on the form it takes to the perceptive practitioner. It could well be that the distillation of such a conversation was outside the scope of his writing, and he was speaking to the implicit assumption within much of Paganism that all land is sacred. Ritual acts as a transformative, transmutative process by which something can be removed from our Profane space and engaged with in a sacral context. Ritual provides the ability for the creation of the conditions required for the Sacred to be, and for the numinous to manifest. The construction of a home, the ritual of creation mimicking the ritualistic creation of the world, generates the conditions which place it beyond the Profane world, and the maintenance of that Sacred enclosure encourages interaction with divinity, just as much as a natural site claimed by the divine or similarly untouched location in Nature. I agree with John Beckett that “not all land is sacred”. Locations are not, places get polluted which drive away the numinous, and these regions simply do not find themselves to be conducive to hierophany. But, like the very religions that we find ourselves practicing, there exists a kernel of ordinary in the extraordinary, which has no bearing on the manifestation of divinity. Mircea Eliade, The Sacred and Profane: The Nature of Religion, trans. Willard R. Trask, Harvest, Brace & World, Inc: New York, 1987. Bryan S. Rennie, “Mircea Eliade and the Perception of the Sacred and Profane: Intention, Reduction, and Cognitive Theory” in The Finnish Society for the Study of Religion, Temenos Vol. 43, No. 1 (2007), 73-98.